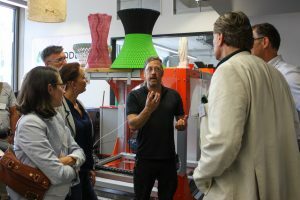 The Leadership Excellence Circle took place on June 28th in the “Maker Space” of the TUM Technical University München, a coworking place and prototype lab for entrepreneurs and DIY enthusiasts. 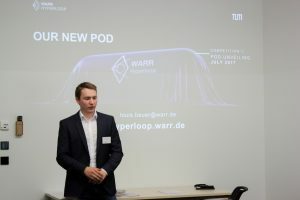 After our interview with Louis Bauer, a member of the Hyperloop WARR Team, who became a finalist in the innovation competition Hyperloop, we had the chance to discuss with potential corporate partners how to shape this year FLI curriculum in order to make FLI activities more impactful for corporate partners and their delegates. We received inputs in three different areas. Define culture of failure. 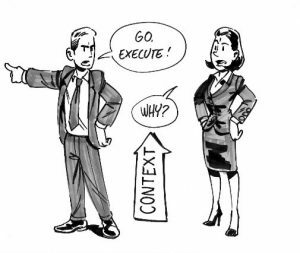 Do we need a failure culture or a learning culture? These are the major question that we need to answer during our research phase. 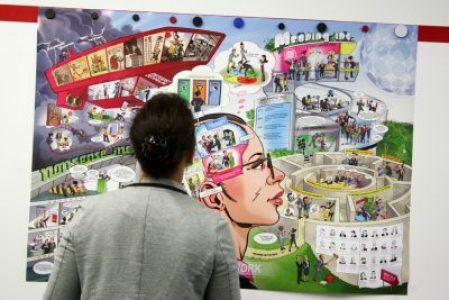 The research team is going to collect the experience of 25 worldwide recognized leaders experts about innovation and all the insights will be shared in the next event of the Future of Leadership: the Future Lab. Future Lab is going to take place on November 20th and 21st, 2017 in two different locations at the same time: Düsseldorf and Berlin. The focus will be on Urban Mobility, nowadays billions of people are forced each working day to waste significant share of their lifetime and energy by commuting and in traffic jams. 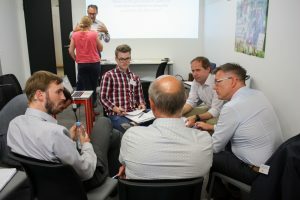 Digital natives, executives from different industries and start up entrepreneurs come together to ideate innovative solutions to enhance the quality of life in urban regions. 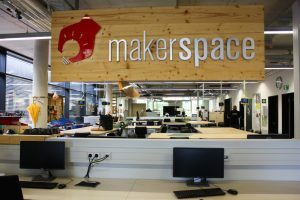 Soon it will be possible to register online to take part in this exclusive and innovative experience. For more information about the next events or to contribute to the Future of Leadership contact us here. Small, but attractive — What attracts talent to startups?